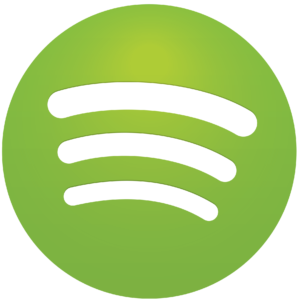 Spotify, the music streaming company, is experimenting with allowing record labels to place (basically sponsoring) songs in playlists. This will boost revenue for Spotify as well as help record labels promote their lesser-known artists. However, there is no need to panic for those who pay for a Spotify subscription (at least not yet) because the trial period for song sponsorships will only affect those with the free plan. Interestingly, just two years ago there was talk about creating “pay-to-playlist” and the company responded by saying, “We are absolutely against any kinds of ‘pay to playlist’, or sale of playlists,” in the Financial Times. This change of heart maybe a sign that Spotify is in need of new revenue sources. SmartDuvet has once again created a product that could change the future of bedding. The company originally launched a self-making bed, which resembles a blow-up blanket that goes on your duvet with a small control box (which can be hidden by the duvet cover). The blanket blows air through the duvet, basically inflating it and the bed is made by the time it reaches its full form, which is genius! Their new product is called the SmartDuvet Breeze. It still makes the bed, but now includes a heating and cooling feature. This allows for two people to adjust the temperature settings on their side of the bed. It’s the same concept as their first product but warm or cool air will be blown through in keep the bed at your desired temperature. No longer will you have to suffer through temperature control issues while you sleep! The original developer of the Roomba Robot Vacuum, Franklin Robotics, has launched a new Kickstarter campaign for Tertill, a solar-powered robot that pulls weeds. The robot has built-in sensors to identify weeds from plants; however, the company encourages gardeners to put protection around growing plants because they could be mistaken for weeds. Tertil is available on Kickstarter and the small weed-pulling robot is expected to be available in Spring 2018, just in time for Summer gardening! Ahead, by Analogue Plus is a helmet attachment that connects all technology (phone, music, navigation, etc.) together and aims to make biking safer. The attachment is voice activated with Bluetooth capabilities allowing users to make calls, hear navigation, listen to music and more in a safer way. Ahead is a Kickstarter project that is still in the pledging phase, but the first batch of products is expected to hit the market Fall 2017. On Tuesday, Amazon announced Prime Wardrobe, which will allow customers to try on clothes before purchasing them. The program allows individuals to try three to 15 items at once and the customer will only be charged for those they keep. The service will be a facet of the current Amazon Prime membership, which gives customers free and fast shipping, streaming service and more. Check out the Amazon site for more details. Ann is PR Intern at TDS Telecom and a Journalism and Communication Arts student at UW-Madison.